sity of Jordan, Amman, Jordan; 3Department of Management Information System, University of Petra, Amman, Jordan . 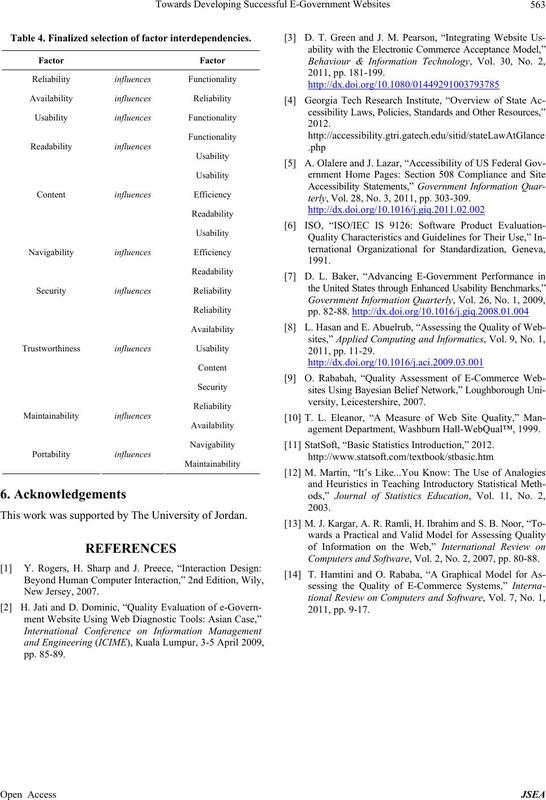 rizing, and ranking these factors, and then defining the interrelations among these quality factors. is yet another reason for website quality assurance. made by expert evaluators . structured, difficult to navigate and unfriendly for readers. media and animation effects . sub-factors. The model is illustrated in Figure 1. (i.e. Authentication, Privacy, and Access Control) . the factors used with a short explanation of each factor. 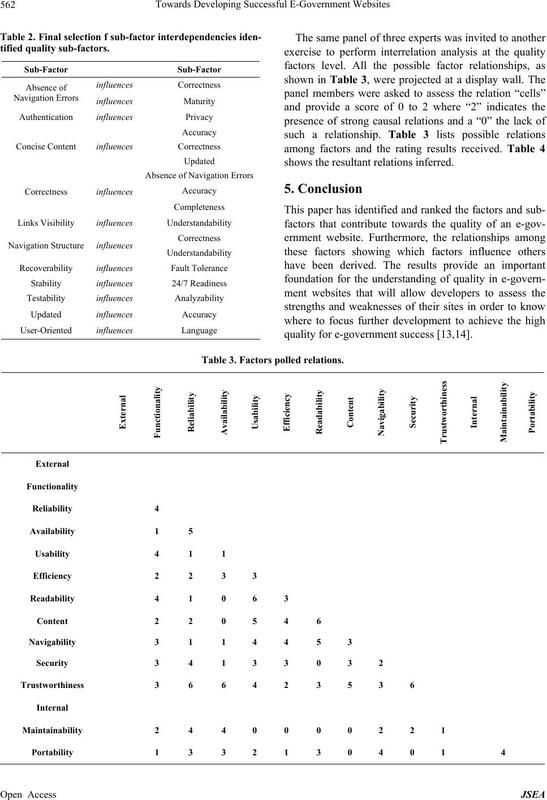 within quality factors in Table 1.
the importance of their contribution towards their factor. tionnaire’ response was excluded from further analysis. naire rating of “1” has the highest percentage importance. each group; therefore, it affects inter-factor correlations. relations as explained in the next section. sub-factor to the least important in a descending fashion. Figure 1. The ISO/IEC 9126. Table 1. 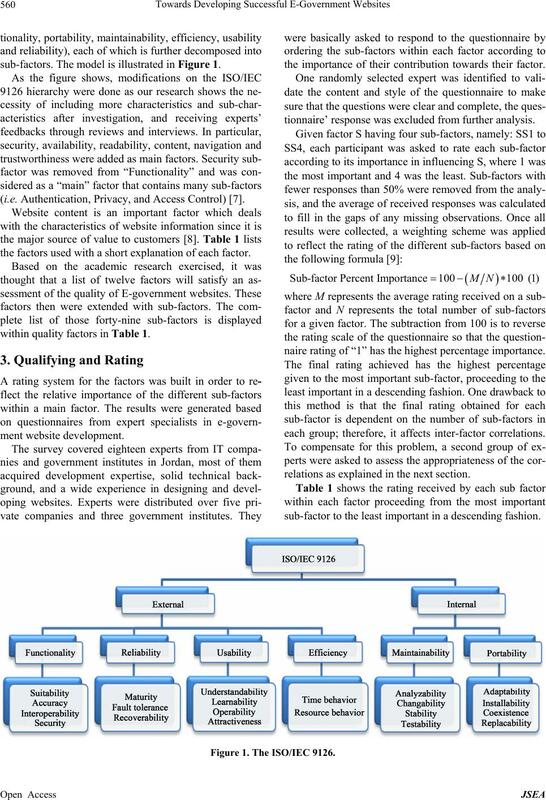 Identified quality sub-factors. questionnaire to establish initial inter-factor relations. ensure they were comfortable with the results. return the least desired relation from their possession. ble 2 shows the results of the selection process. shows the resultant relations inferred. 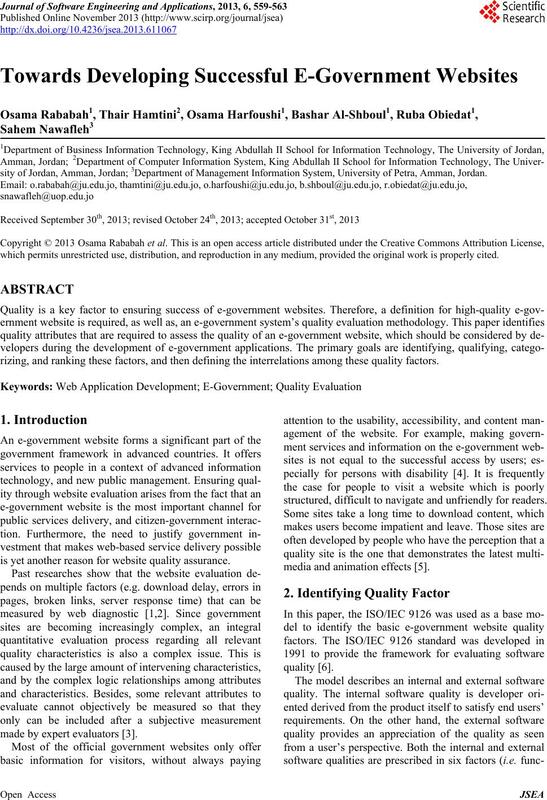 quality for e-government success [13,14]. Table 3. 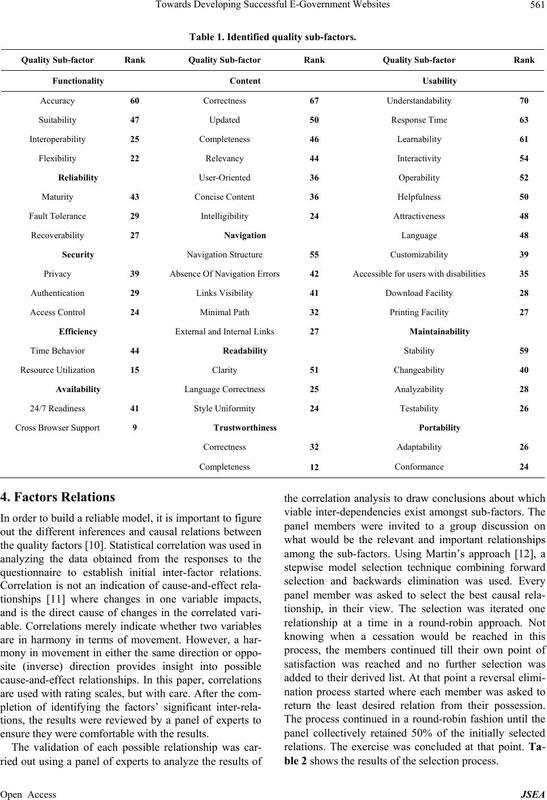 Factors polled relations. Table 4. Finalized selection of factor interdependencies. This work was supported by The University of Jordan. terly, Vol. 28, No. 3, 2011, pp. 303-309.
agement Department, Washburn Hall-WebQual™, 1999. StatSoft, “Basic Statistics Introduction,” 2012. Computers and Software, Vol. 2, No. 2, 2007, pp. 80-88.